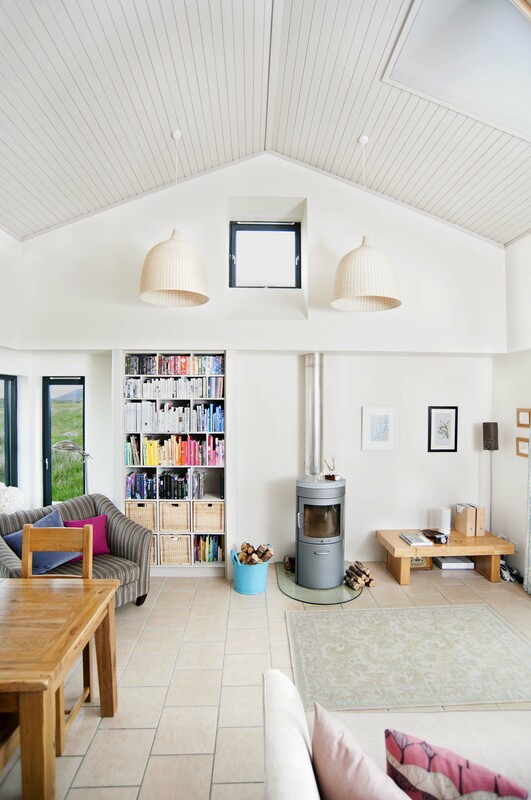 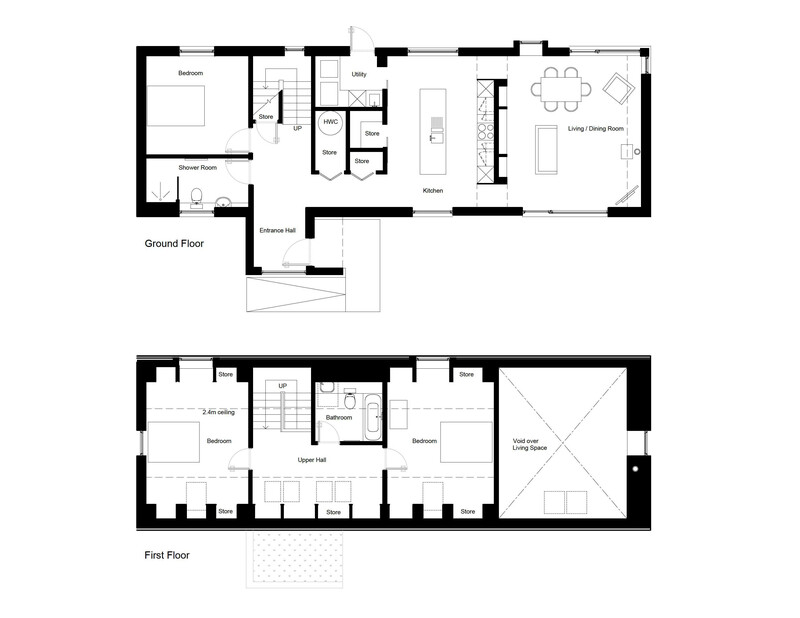 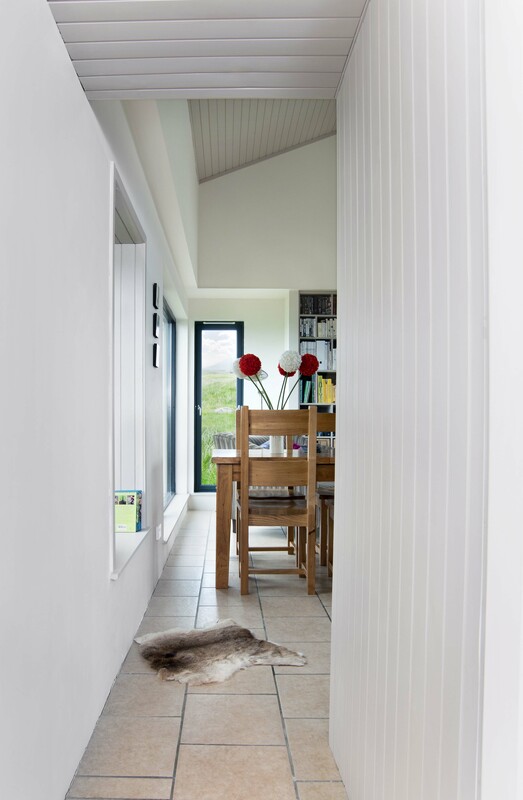 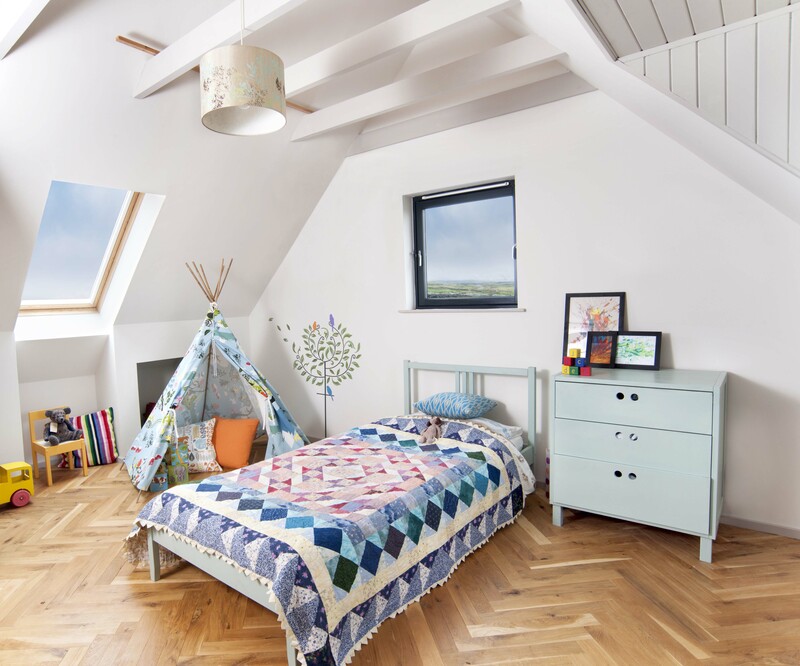 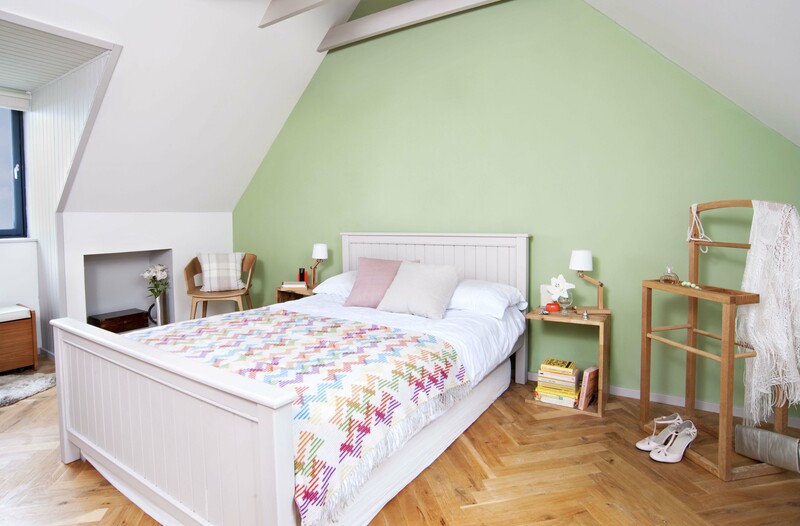 Mhairi and Steven embarked on the design of their family home in 2008/9. 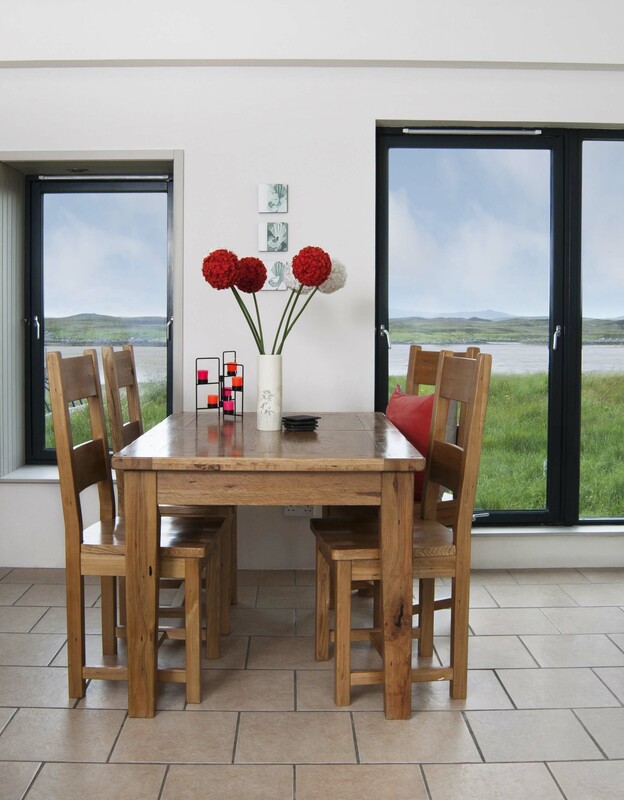 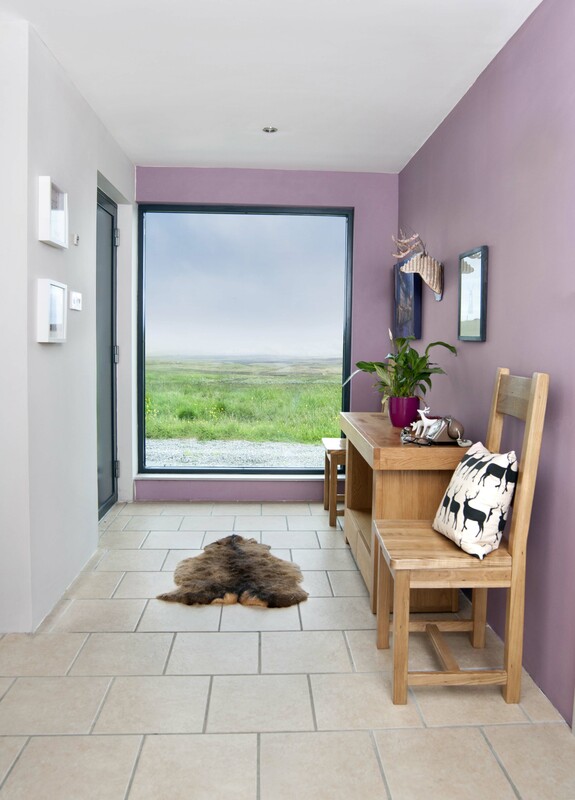 The house is situated in North Uist and is oriented directly North – South towards a sea loch inlet on the east side of the island. 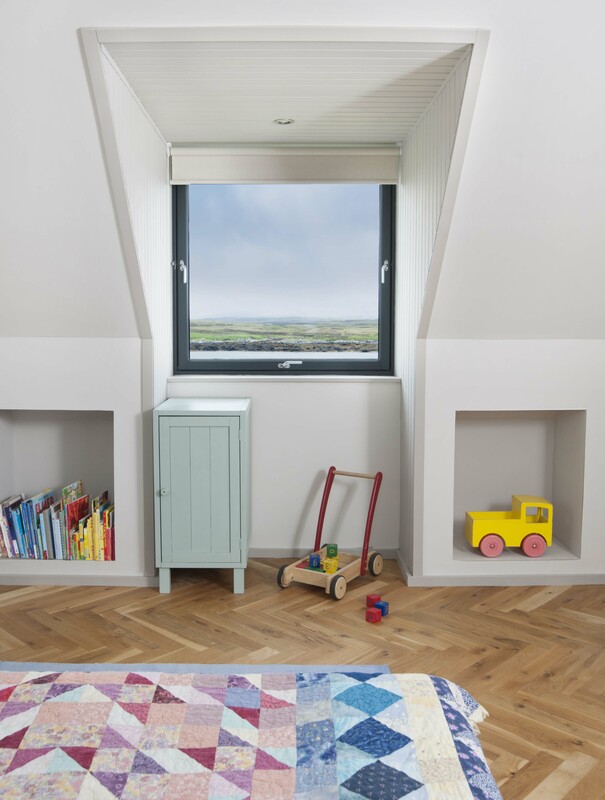 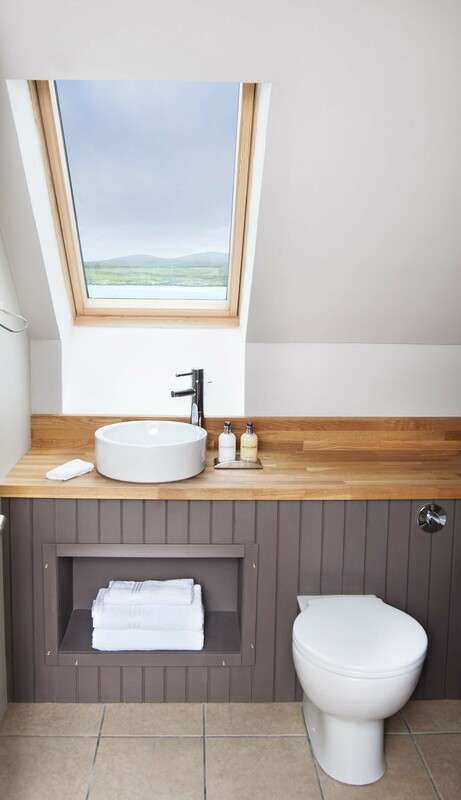 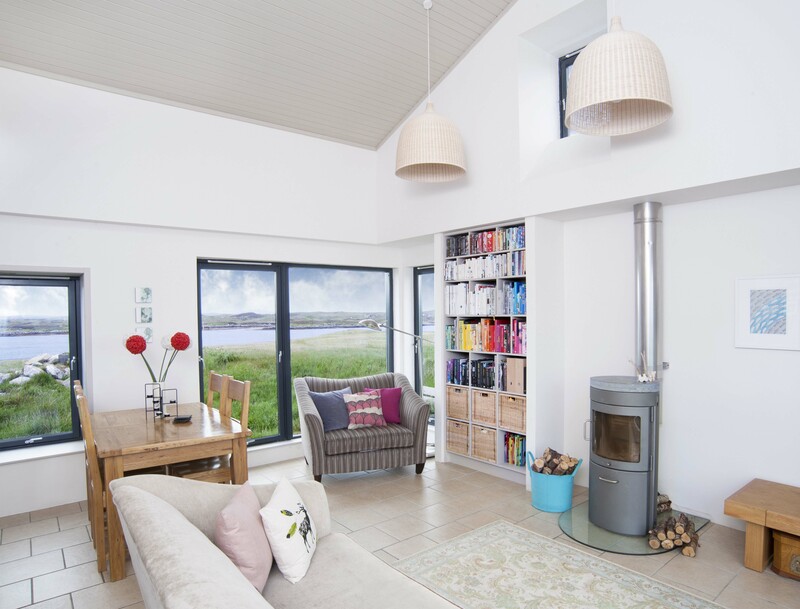 The house was designed to maximize the solar gain on the south elevation and frame the stunning views to the sea loch on the north elevation. 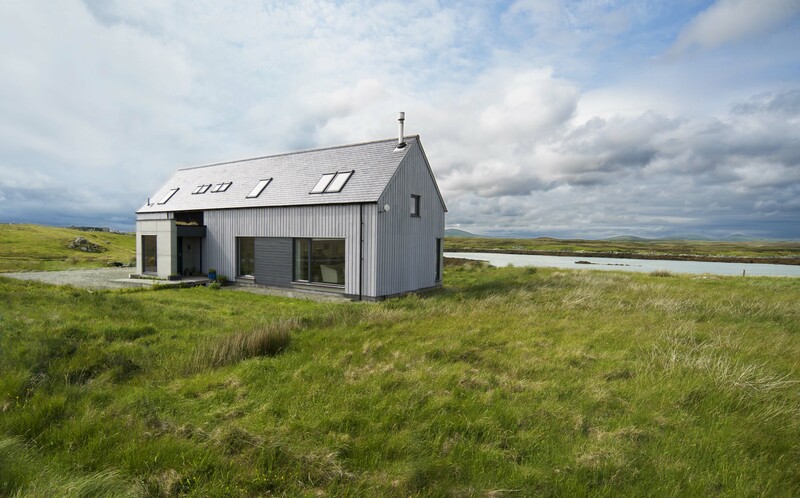 The soft palette of materials was chosen to reflect the Hebridean landscape and a small wildflower roof over the green clad porch marks the entrance. 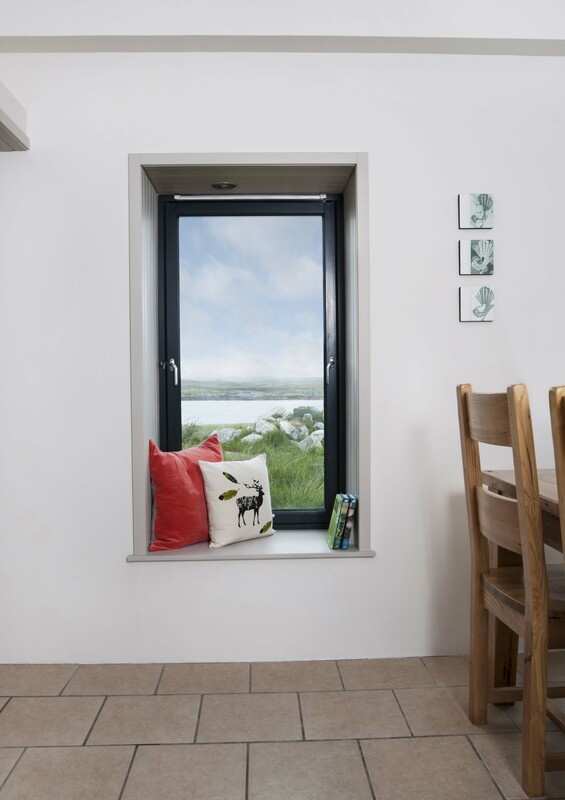 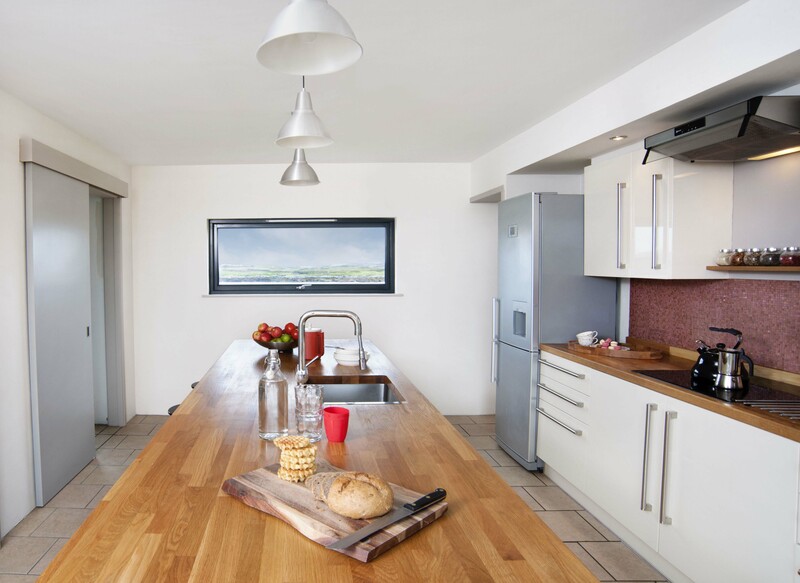 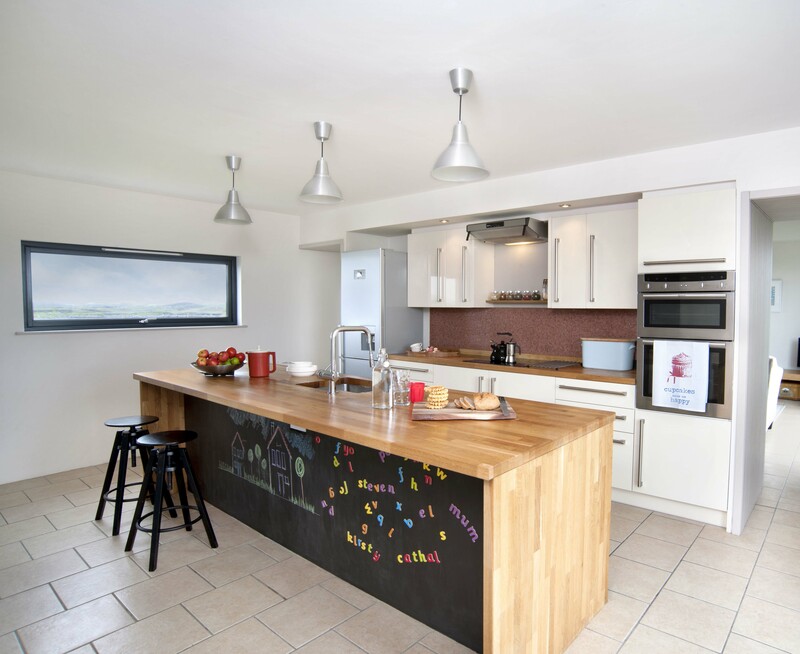 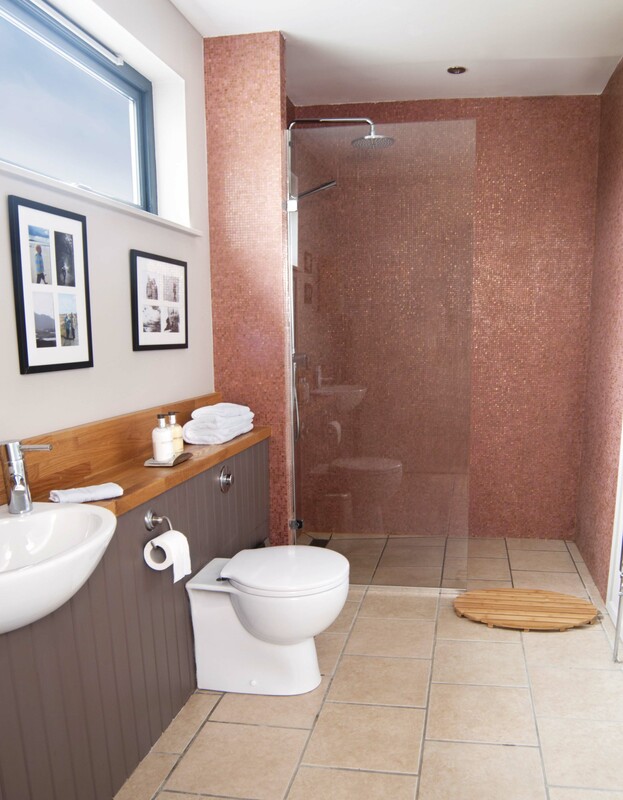 The house is highly insulated and incorporates a bore holed ground source heat pump with underfloor heating throughout.